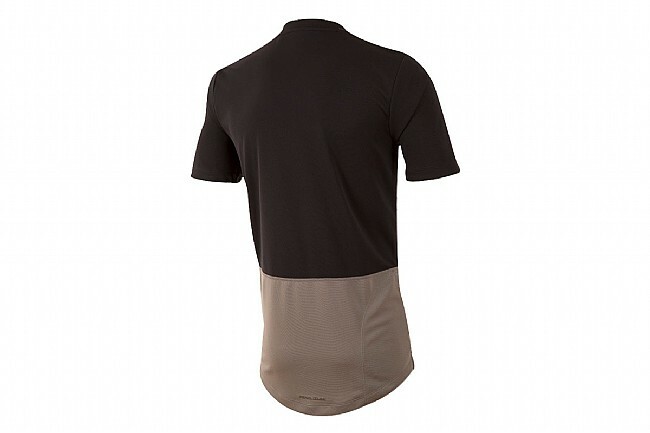 The Pearl Izumi Men's Divide Top delivers off-road features in a casual looking package. Taking the tech tee to the next level, this top straddles the line between jersey and tee shirt, featuring a 100% polyester construction and a drop-tail design. The Transfer Dry fabric wicks moisture away from the skin and into the air, rewarding all those hard efforts with additional cooling. One breast pocket and an additional hidden side zip pocket allow for the stashing of the bare necessities while out on a ride. i use this as a jersey during mountain biking season and for tennis. the shirt breathes well. 5 712 128 pounds. ordered the size small and it is perfect. the citronavocado is a nice color combo and the citron(orange) down the back makes for great visibility of approaching riders and vehicles.